HOME > ENTERTAINMENT > ‘The Originals’ Season 4 news, updates: Vincent or Hope - Who will be the savior of the Mikaelsons? ; Marcel not the main villain in ‘The Originals’ Season 4? ‘The Originals’ Season 4 news, updates: Vincent or Hope - Who will be the savior of the Mikaelsons? ; Marcel not the main villain in ‘The Originals’ Season 4? It was just about a month ago when the hit spinoff series, "The Originals," finished its third installment with a cliffhanger. With "The Originals" Season 4 expected to arrive early next year, rumors are loud that the possible savior of the Mikaelsons is either Hope or Vincent (played Yusuf Gatewood). It can be recalled that the season finale of "The Originals" Season 3 showed how the Mikaelsons was defeated by Marcel (played by Charles Michael Davis). Given that only Hayley (played by Phoebe Tonkin) and baby Hope were the only members who were saved by Marcel's wrath, fans have been speculating that it would be Hope that would save the family in "The Originals" Season 4. However, other rumors are pointing to a possibility that it is going to be Vincent who shall be the new hero of the upcoming "The Originals" Season 4, TV Line has learned. According to the same publication, the executive producer of the series, Michael Narducci, dropped some few clues to the fans. When he was asked about Vincent's role in "The Originals" Season 4, the showrunner said that Vincent may step up against Marcel if he continues his wrath in the city. The EP added that Vincent is committed to defend the witches in New Orleans. In contrary to the speculations that it would be Vincent who shall save the Mikaelsons in "The Originals" Season 4, new reports are loud that it is none other than Hope who will be the savior of the family, Christian Times reported. The report also noted a possibility of a time jump since Hope is way too young to use her powers. 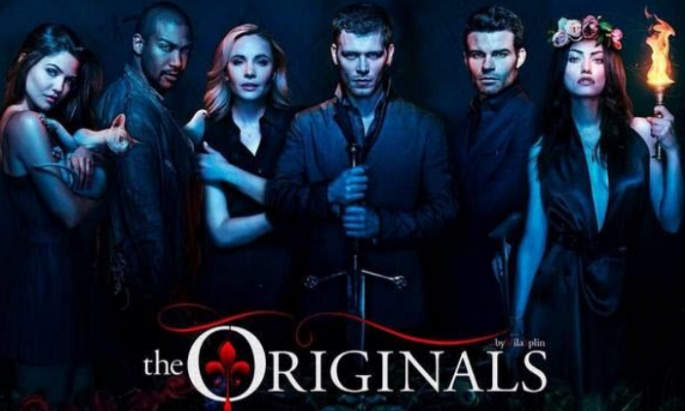 It is also said that Narducci already confirmed the time jump to happen in "The Originals" Season 4. The same report also cited that the next main villain of the upcoming season is not going to be Marcel. It was said that he was always meant to be a protagonist. Perhaps, fans should just watch out what happens next when "The Originals" returns for its fourth installment. Reports are loud that "The Originals" Season 4 will premiere on January 2017, but no specific date has been provided yet. ‘Arrow’ Season 5 news, updates: To feature a reconciliation between Oliver and Felicity; Next villain to have no superpowers, third-party to further ruin Olicity in Season 5? ‘Wolverine 3’ news, update: Wolverine’s female clone to be introduced in the upcoming film? ; Final film to be titled ‘Weapon X’ or ‘Wolverine: Weapon X’? ‘Spider-Man: Homecoming’ news, updates: Donald Glover added to the mix of cast in the upcoming ‘Spiderman’ reboot as a secondary villain? ‘Teen Wolf’ Season 6 spoilers: Season 6 will not feature zombies, vampires; Ghosts from the past comes back to haunt Beacon Hills in ‘Teen Wolf’ Season 6?